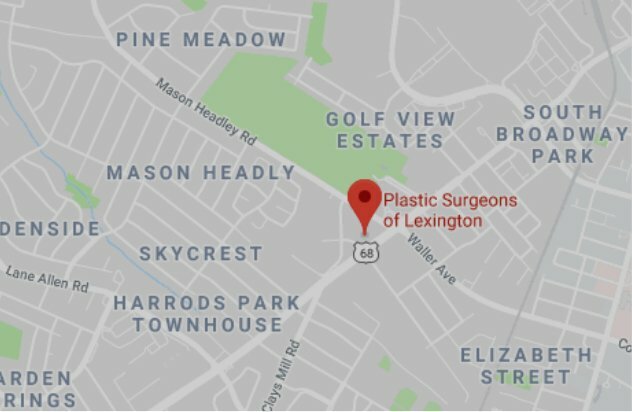 Welcome to Plastic Surgeons of Lexington blog. This is our first posting on our new and improved website. As such, we thought there is no better way to start things off than to discuss who we are and the accomplishments of our recently retired senior partner, Dr. Andy Moore, II. Dr. Moore had a long and distinguished career focusing on virtually all aspects of Plastic surgery including cleft lip and palate surgery. He was chief of staff at Saint Joseph Hospital in Lexington, Ky; a member of numerous medical organizations including the prestigious Plastic Surgery Association; and held many local, state, and regional medical organization offices. Throughout his career, Dr. Moore carried on the legacy of his father, Dr. Andy Moore, Sr., as a compassionate, caring physician who cared for individuals regardless of their ability to pay. In fact, Dr. Moore, II was recently awarded the Mohammad Ali Kentucky Humanitarian of the Year as the founder of Surgery on Sunday – a non-profit organization that provides free outpatient surgery to people in need. This organization has been replicated in other areas of the country including in Louisville, Ky.
At Plastic Surgeons of Lexington, we strive to carry on the legacy of Dr. Andy Moore, Sr. and Dr. Andy Moore, II in their approach to Plastic surgery and generally caring for people. In fact, we continue to be a family run practice. Dr. Mike Moore carries on the family tradition of service by donating his time as a delegate to the Kentucky Medical Association and remains deeply involved with the Kentucky Commission for Children with Special Needs. While its true our practice has traditionally been known for reconstruction, going forward, we are looking to make a larger impact in the field of aesthetic surgery and aesthetic medicine in our community. We feel we are primed from this transition as aesthetic surgery is borne out of reconstructive surgery. We have two young Plastic surgeons, Dr. Joe Hill and Dr. Mike Lynch, who are eager to provide the safest and most proven techniques in the field of aesthetic surgery. At the same time, they are young enough to be well versed in the latest cutting edge technology to be delivered to our patients. This is evidenced by our recent open house where Sientra breast implants, Merz Aesthetics, and Neocutis skin care line were featured. We greatly appreciate all those who attended and we are looking forward to many more open houses in the future. Finally, we are looking to upgrade our facility and will be making an announcement soon….stay tuned!